Aqua Pure Water Filter: Should You Invest In One Or Not? 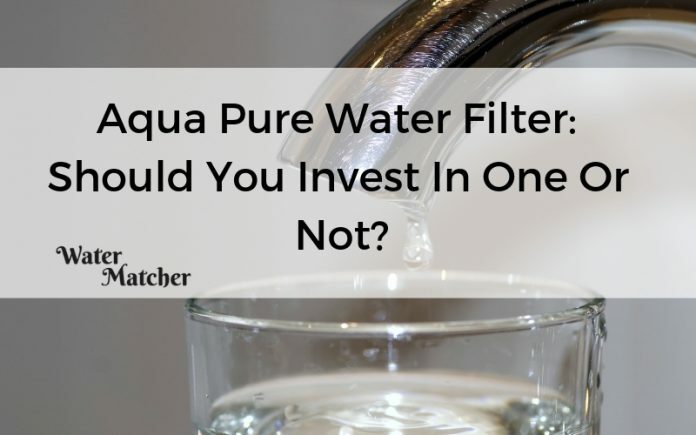 Home Brands Aqua Pure Water Filter: Should You Invest In One Or Not? To stay healthy and active, individuals must have a consistent supply of clean water to drink. While most consumers drink tap water, many express disappointment in the taste and smell of their water supplies. Installing an Aqua Pure water filter is an effective way to improve water quality throughout an entire house. To be healthy, you must stay hydrated. 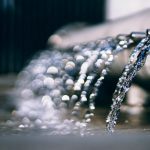 Unfortunately, drinking enough water is hard when your supply comes from a tap that spouts smelly or foul-tasting water. Moreover, buying bottled water is both expensive and unfriendly to the natural environment. Fortunately, there is a solution. With a whole-house water filter, you purify the water you and your family consumes. 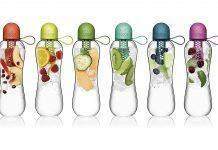 As you probably know, there are hundreds of water filters on the market today. Not every filter, however, is a smart buy. 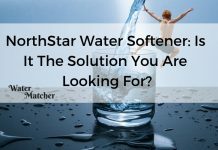 How do you know the difference between an exceptional water filter and an inferior one? That’s where we come in. In this review, we take an in-depth look at the Aqua-Pure whole-house water filter. Continue reading to see exactly what we think of the Aqua-Pure filter. What Is an Aqua Pure Water Filter? The Aqua-Pure AP903 is a whole-house water filter. The filter has a stainless-steel head that easily sweats in place. If you aren’t a plumber, you likely need professional assistance installing this filter, as installation requires special tools and a bit of skill. Once installed, though, the system’s filters are easy to change. You simply unscrew the cartridge from the head and screw on a fresh one. 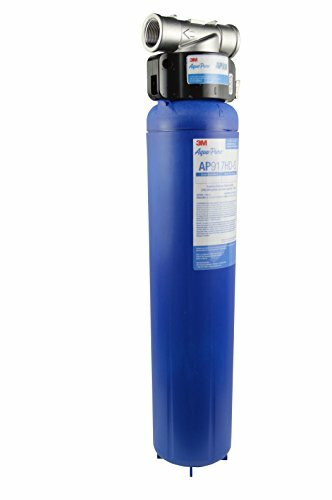 Designed for heavy use, the Aqua-Pure filter is capable of filtering up to 100,000 gallons of water between filter changes. You save time and money with the long-lasting cartridges. The system’s filter is activated carbon, capable of purifying water to 5 microns. As such, the filter removes most impurities and contaminants from drinking water. 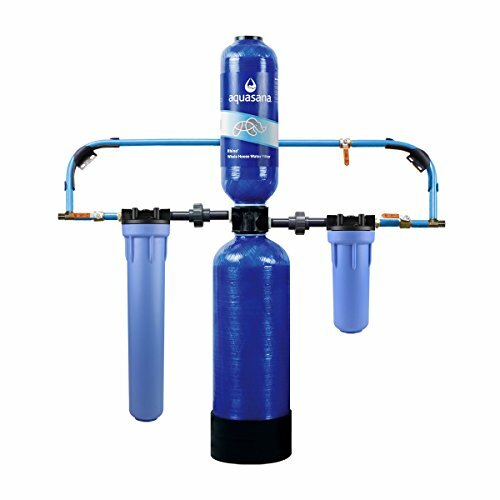 The Aqua-Pure water filtration system works in houses supplied with either well or municipal water. Because it is suitable for busy households, large homes and small commercial applications, the filter does not impede the flow of water. Accordingly, you are likely to notice very little difference in the amount of water coming out of the tap. In fact, the Aqua-Pure water filter is capable of delivering up to 20 gallons of filtered water per minute. That flow is fast enough to meet virtually any household or small business needs. The Aqua-Pure filtration system is customizable. Depending on your preferences, you choose the filter that best meets your demands. For example, if you want to remove odors, you insert the AP917HD filter that reduces chlorine taste and odor. The AP917HD-S is appropriate for removing particulates, odor and scale. Regardless of the filter you choose, you can be certain the cartridge is removing contaminants you don’t want to consume. If you want filtered water throughout your entire home, the Aqua-Pure system eliminates the need for multiple filters. You achieve peace of mind knowing that the water that supplies your expensive appliances is free from particulates. You also know scale is less likely to build up in your home’s plumbing system. Even better, you are confident that filtered water from the Aqua-Pure system is safe for drinking, cooking and bathing. As a whole-house water-filtration system, the Aqua-Pure water filter has some impressive specifications. The Aqua-Pure water filter is smaller than many other whole-house filters. In fact, with the filter cartridge in place, the entire system is only 27 inches long. The system’s head is made from 304 stainless steel, which sweats seamlessly in place, integrating with your house’s existing plumbing system. When installing the system, you must be sure your pipes are compatible with a 1-inch NPT inlet. If not, you may need to add an adapter to secure the filtration system in place. 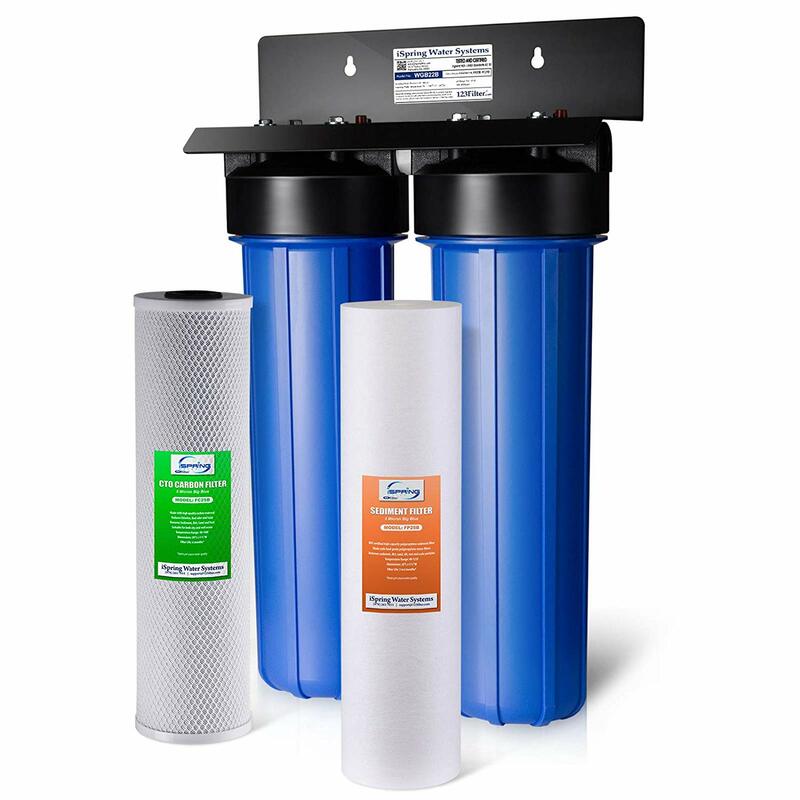 Filters for the Aqua-Pure filtration system vary depending on your needs. Some remove only sediments, while others remove odors and tastes. The manufacturer recommends using either an AP917R, AP917HD or AP917HD-S filter. While cartridges are designed to filter 100,000 gallons, they aren’t great at removing certain metals. Accordingly, to get the most out of your Aqua-Pure filtration system, you may want to use a pre-filter system. The AP810-2 and AP902 work well. When installed properly, the Aqua-Pure filter removes dirt, sediment, rust and dust. With an upgraded filter, you can also reduce chlorine odors and tastes. An even further upgrade helps control scale. Since scale can damage appliances and destroy plumbing, opting for an upgraded filter is a good practice. It should come as no surprise that the whole-house Aqua-Pure water filter is more expensive than localized units. Still, the system is reasonably priced. If you want to purchase one for your home, expect to pay around $260. Replacement filter cartridges usually cost around $150. While this price tag is higher than other filtration systems, you can plan to use a cartridge for about a year before having to replace it. Once you install the filtration system, you have about $13 per month in operating costs. Installing the Aqua-Pure water filtration system is probably not a DIY job. As mentioned, proper installation requires specific tools and expertise. Moreover, improper installation may void the product’s warranty. Therefore, you should probably budget for a plumber to install your Aqua-Pure water filter. Plumbing costs vary from place to place, but installing Aqua-Pure water filters usually costs around $500. Check with a plumber in your area for a reliable installation quote. The Aqua-Pure warranty is impressive. The stainless-steel head has a 25-year limited warranty that protects you from defects in either materials or manufacturing. Each cartridge has a 1-year limited warranty. Since cartridges usually have a 1-year lifespan, this warranty is likely sufficient to protect your investment for the entire time you are using a cartridge. If you want to purchase an Aqua-Pure water filtration system, you have some options. The manufacturer sells filtration systems on its website at www.aquapurefilters.com. With the company’s intuitive sales platform, purchasing a filter on the site is simple and easy. If you prefer not to buy your new water filter from the company directly, you can likely buy it from a plumber or plumbing outfitter in your area. Finally, if you are an Amazon shopper, you can likely purchase an Aqua-Pure filter there. Be sure to check that the seller is an authorized deal of Aqua-Pure products, though. To make an informed buying decision, you need some comparison information. To be a decent point-of-entry filtration, a filter must remove most of the contaminants, odors and taste that give tap water a bad name. 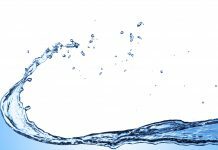 In this section, we compare the Aqua-Pure water filter to some other popular whole-house water filters. Consumers and professional reviewers agree the iSpring WGB22B two-stage water filter is a good whole-house filter. The system removes dust, dirt, rust, sediments, chlorine odors and chlorine tastes while filtering 15 gallons of water per minute. Filter cannisters have a 100,000-gallon or 1-year lifespan. While replacement filters aren’t expensive, they are tough to install. Since cartridges are heavy and wobbly, you may need to ask for professional help every time you need to replace one. That’s unfortunate. Still, for an all-around effective whole-house water filter, the iSpring WGB22B two-stage water filter is a decent option. The Aquasana Premium Rhino water filter is the Rolls Royce of water filters. This filtration system is capable of removing virtually all sediment, contaminants, odors and tastes from your water. Impressively, the filters have a million-gallon lifespan. That means you can drink filtered water for nearly a decade without worrying about buying or replacing filter cartridges. The flow rate is comparatively slow, though, at around seven gallons per minute. If you live in a busy household, that rate may be insufficient to meet your family’s demands. Also, as you may suspect, the Aquasana Premium Rhino water filter isn’t cheap. A dream for budget-conscious homeowners, the Culligan WH-HD200-C whole-house water filter sells for under $60. Unlike many other whole-house filters, the Culligan filter doesn’t aim to remedy the taste or smell of your water. Instead, its essential purpose is to protect your appliance and plumbing system from damage due to scale and sediment buildup. Still, most users report a noticeable difference in water quality after installing the Culligan WH-HD200-C. The filter’s lifespan is between 10,000 and 24,000 gallons. After that, you have a mess on your hands when you try to replace the filter. It is neither simple nor easy. 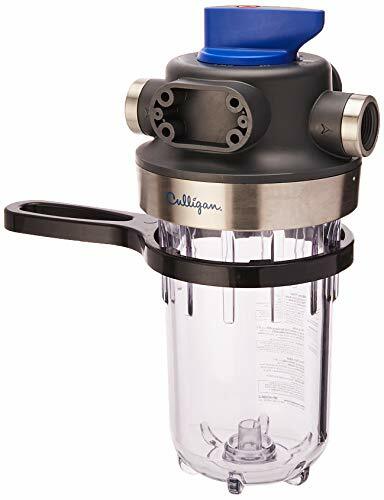 Nonetheless, if you want an affordable way to improve water quality, this Culligan water filter is worth a look. As you can tell, comparing whole-house water filters is somewhat challenging. Since manufacturers make filters for a variety of purposes, you must try to compare similar functionalities. After comparing the Aqua-Pure filter to the iSpring WGB22B, Aquasana Premium Rhino and Culligan WH-HD200-C, we conclude that the Aqua Pure filter is a good all-around whole-house filter. By now, you have probably discovered that we like the Aqua-Pure water filter quite a bit. We don’t, however, think it is perfect. To help you better understand this product, we have created a list of pros and cons. Perhaps the best feature of the Aqua-Pure water filter is its one-stage filtration. This causes production of no wastewater, which saves both you and the environment. The one-stage filtration also allows this system to filter a considerable amount of water quickly. In fact, you can expect the Aqua-Pure filter to remove contaminants from 20 gallons every minute. That’s impressive. We also like the long filter life of the Aqua-Pro water filtration system. Each cartridge should last you about a year. During this time, it should filter around 100,000 gallons. When you need to replace the cartridge, you enjoy a simple process. With just the twist of the cartridge, you remove it. A new one twists tightly in place. You don’t need special tools to change the Aqua-Pure’s cartridges. Finally, we appreciate the price tag attached to the Aqua-Pure water filter. The unit sells for $260. While there are cheaper whole-house filters on the market, the Aqua-Pure is competitively priced. In fact, we think the company could charge more for its filtration system. Our biggest complaint with the Aqua-Pure water filter is its sensitivity to heavy sediment and some metals. To address this, the company recommends installing a pre-filter system. While that usually takes care of the problem, we would like to see modifications to the Aqua-Pure filter that make a pre-filter unnecessary. We also object to the filtration on the system. While the Aqua-Pure filters to 5 microns, other filters do a much better job. For example, the Aquasana Premium Rhino filters to 0.35 microns. Even though the Aqua-Pure removes a significant percentage of particulates, you should remember that anything smaller than 5 microns is passing through it. In our opinion, the Aqua-Pure water filter is a good whole-house water filtration system. The filter removes much of the sediment, odors and tastes that make tap water unpleasant to drink. While the Aqua-Pure isn’t perfect, we think it is a good addition to any busy household. 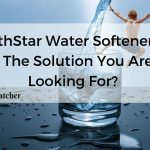 Next articleFiltrete Water Filter: Is It A Good Value For Your Money?